2nd Annual Spring Bike Sale! Get ready for summer! 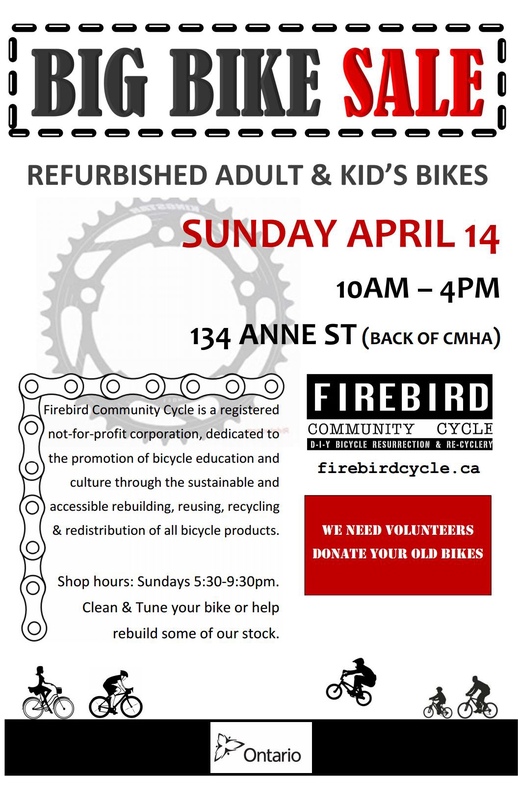 Refurbished bikes for kids and adults. Cheap! This is our biggest fundraising event of the year. 134 Anne St. S., Barrie – Behind CMHA building.